Do you know how that delicious smoked reindeer you are savoring made its way to you…? Ghastly images have been released showing the spoils of a thriving trade which involves the culling of reindeer in a remote Siberian gulag. The slaughtering of the reindeers then leads to the carcasses being sold off for human consumption as ’sliced and smoked’ delicacies via UK based supermarket chain Lidl. Yet its the the revelation that reindeer blood is also now being used and highly sought by men with flagging libidos who are said to bathe in its potent vitamins which is perhaps most noxious. In a feature report via the UK’s dailymail the tabloid tracks the source of the trade, telling how reindeers are being slaughtered in a remote polar gulag region of Yar-Sale in polar Russia, 1317 miles north-east of Moscow. The culling of the wild beasts involves the animals being stunned before their throats are slit, their blood collected before their heads are then cut off. 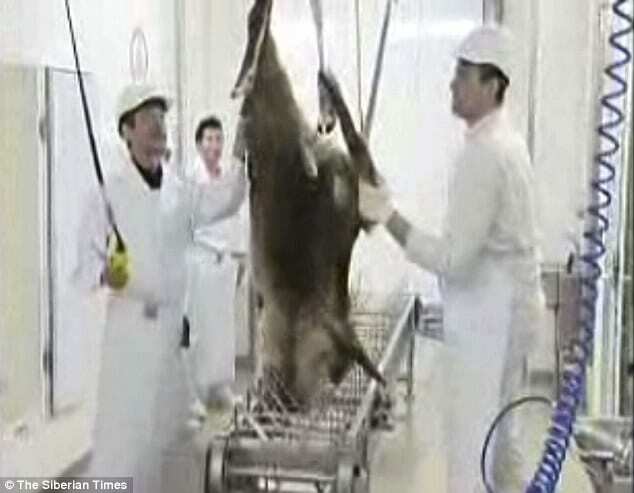 Reports the dailymail: Our pictures show how the reindeer are killed at a ‘state-of-the-art’ Finnish-built abattoir which carries EU approval for its processes. Russian government watchdog officials have raised worrying concerns over the hygiene conditions in a Siberian killing chamber with a capacity of 20,000 animals a season, a hefty chunk of the 2,400 tons of venison on the market this year. This slaughterhouse, run by company Yamal Reindeer, has satellite abattoirs in other villages where more animals are killed for what the Russians view as a meat source of growing appeal and export value. In its defense, German-owned chain Lidl insists that the animals are ‘slaughtered in strict accordance with EU guidelines’ along with telling that it ‘takes issues of animal welfare as well as environmental protection very seriously‘. The supermarket chain also tells that ‘the butchers and the local vet have been trained in Germany to EU standards and our supplier pays regular visits to the site to ensure standards are maintained to the highest level’. All of which may be true but nevertheless raises questions as to whether the extreme degree of culling involved might shake off some hardened appetites for the Christmas delicacy? At present, Lidl is thought to be the only major supermarket chain stocking reindeer in the UK, and sells thinly sliced, smoked meat available for £4.99 a pack. Offers Yevgeny Maltsev, director of Yamal Reindeer: ‘What do you mean – is our killing humane? And what about the killing of cows, pigs, and rabbits – is this humane? ‘We produce venison like they do in Scandinavia, and as they do in Taimyr (another Siberian region). But in Taimyr, the reindeer are just shot. On the contrary, we do it in humane way. ‘That is, we have a slaughtering company, it is all done in a civilised way. So much for Rudolph the reindeer with its very shiny red nose …. 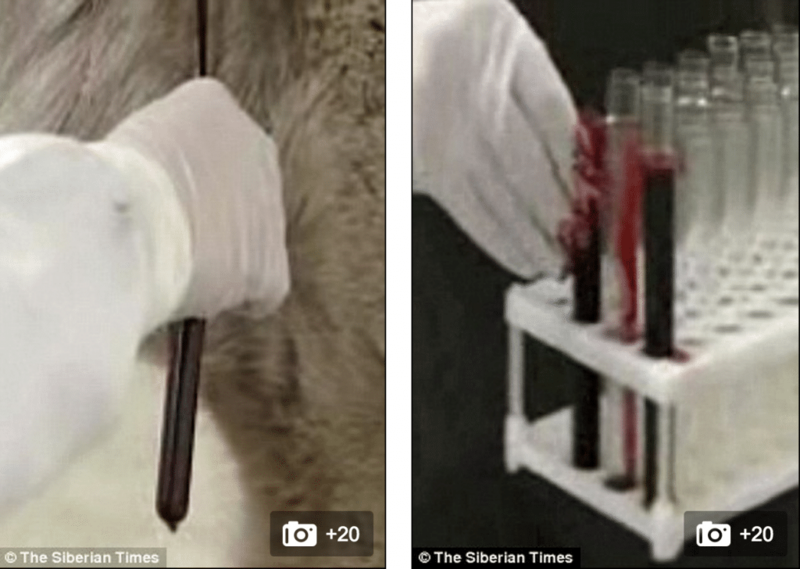 Reindeer blood is also used by men with flagging libidos as it is sold to Chinese medical companies.